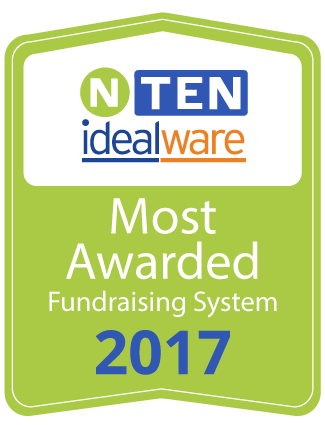 HORSHAM, PA – March 20 2017 – for the fourth consecutive time, DonorPerfect fundraising growth platform and donor management system was awarded the top rating in 18 out of 19 categories in NTEN and Idealware’s A Consumer’s Guide to Low-Cost Donor Management Systems. With 18 “Excellent” ratings, DonorPerfect significantly outperformed the 10 other systems reviewed. This achievement celebrates DonorPerfect’s dedication to providing the global nonprofit community with innovative, effective, and easy-to-use fundraising software at an unparalleled price point. DonorPerfect software helps nonprofits grow through experience and expertise gained from over 30 years serving the nonprofit community. Independent nonprofit organizations NTEN and Idealware partnered to conduct a comprehensive study of 32 fundraising solutions designed for small to medium-sized nonprofits that ranged in price from just a few hundred dollars to nearly $6,000 per year. The 32 systems were narrowed down to 11, based on which systems possessed the best combination of functionality, price, and popular features most requested by nonprofits. Each of the 12 systems was entered into an apples-to-apples comparison to equip nonprofits with a simple, straightforward way to determine which solution would best meet their needs and budget. The authors of this report spent over a hundred hours meticulously researching the top systems, so nonprofits can make the best informed decision when purchasing fundraising software. Why choose between quality and quantity when you can have both? According to the report, DonorPerfect is unmatched in providing the most popular features nonprofits seek when evaluating fundraising software. The ability to know your donors is essential, and DonorPerfect received the only Excellent ratings that were awarded in the “Adding and Tracking Donations” category and “Prospecting and Proposals” category. “DonorPerfect is very simple, speeds up work processes, and makes it easy to track donations, receipt donations, and track donor contacts. DonorPerfect’s amazing reporting capabilities allows us to run complicated queries and reports in a snap. The support team is incredibly fast and extremely helpful every time we contact them. We’re so very happy with our decision to purchase DonorPerfect!” – Kimberly Troup, Director at CFOIC Heartland. A Consumers Guide to Low-Cost Donor Management Systems is the only independent third-party report that objectively evaluates fundraising software. Unlike other software reviews, software companies cannot pay for their software to be reviewed or promoted. To read an excerpt of DonorPerfect’s evaluation, please visit www.donorperfect.com/top-rated. To download the full report, please click here.